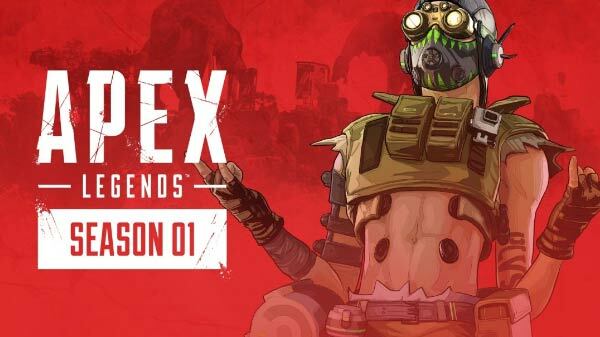 Apex Legends finally receives it the battle pass which introduces new weapons, skins and legend. All you need to know about the new season. EA launched the Apex Legends on February 4 last month and within a month the game has seen huge success by receiving 50 million players and now the game is entering its first season, which is known as Wild Frontier. Just like PUBG and Fortnite battle pass this one will also allow players to achieve in-game rewards after completing the necessary challenges. You can also buy the Battle Pass for $10 which will allow you to unlock in-game cosmetics like-new look for legends, custome UI elements and also new skins for the weapons. In order to buy the Battle Pass, you need 950 Apex coins in the game store if you don't have then you can purchase 1000 coins in just $10. Even without purchasing the Battle Pass you can earn rewards like Legend skin, five Apex Packs and 18 stat trackers which can be used to show off your gaming skills in starting and end of the matches. When the game was launched it came with eight legends. However, the first Battle Pass of the game introduced one more legend known as Octane. Octane is described as the junkie of Apex Legends, the tactical ability if the legend is a stim shot which makes him moves 30 per cent faster for six seconds. However, doing that will also reduce his health. The legend also comes with a Swift Mend ability which allows him to recharge his health over time. Players can buy Octane by investing 750 Apex coins, and if you don't have that much Apex coin then you can buy it for $7.50. However, you can also unlock him by using 10,000 Legend Tokens, the in-game currency which you earn while playing the game. "To level up your Battle Pass even faster, you can grab the Battle Pass Bundle, which unlocks your next 25 Battle Pass levels (and their respective rewards) automatically after purchase," reads the Apex Legend blog post.